Together! At the same time, for the first time! 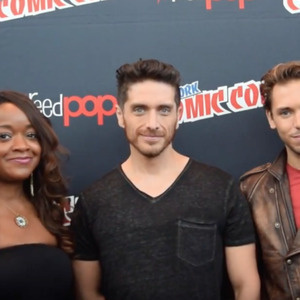 We talk to Kimberly Brooks (Allura), AJ LoCascio (Lotor) and Josh Keaton (Shiro) about Season 6 and everything else. And if that isn't enough, we share some emails from listeners and preview 2 SDCC exclusives for Voltron fans. Kimberly Brooks (Allura) has played too many roles to mention here, but is best known for Ashley Williams in the Mass Effect series, Jasper from Steven Universe, Buena Girl from ¡Mucha Lucha!, Shinobu Jacobs in No More Heroes and No More Heroes 2: Desperate Struggle, Mee Mee in Dexter's Laboratory, Luna in the Scooby-Doo franchise as part of the Hex Girls, and her amazing Princess Allura from Voltron Legendary Defender. AJ LoCascio (Lotor) was best known for his voice acting role in Back to the Future: The Game as Marty McFly, but has since eclipsed ALL other roles with his incredible performance as Lotor from Voltron Legendary Defender. Josh Keaton (Shiro) began his career as a child actor. He is best known for his roles as Takashi (Shiro) Shirogane in Voltron Legendary Defender, Peter Parker / Spider-Man in The Spectacular Spider-Man, Norman Osborn in Marvel's Spider-Man, Jack Darby in Transformers: Prime and Hercules as an adolescent in Hercules. Also, we are giving away a Voltron Prize Pack, courtesy of our friends at The Voltron Store! 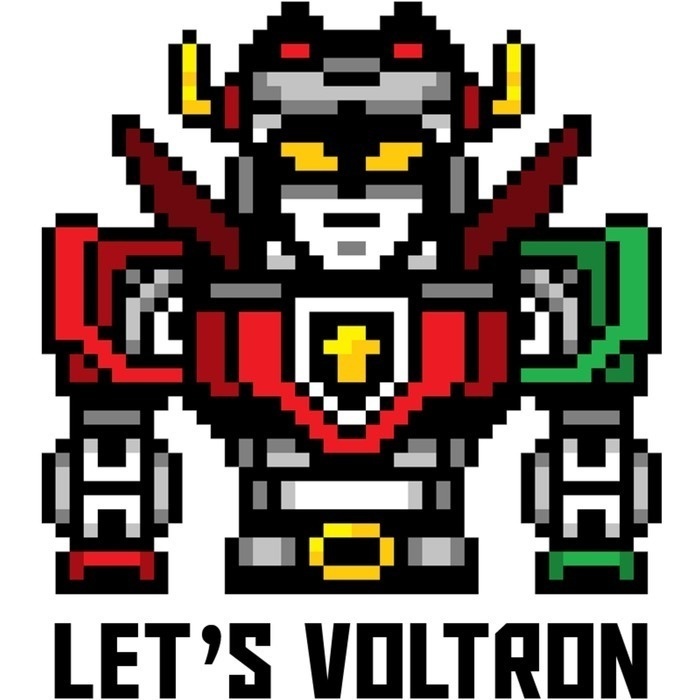 Visit The Voltron Store at http://store.voltron.com to see the latest Voltron items, like clothing, comics, DVDs, toys, jewelry and more! If you send us an email at letsvoltronpodcast@gmail.com, with your thoughts on Season 6, you can be entered to win this prize pack. 1 lucky winner will win! As we mentioned in this podcast, there are 2 special SDCC exclusives that will be in San Diego for Voltron fans! First, at the Entertainment Earth Booth #2343, you can get one of 3000 Limited Edition Hyperphase Voltron 5-piece Gift Set from Playmates Toys for $129.99. If there are any left after SDCC, in August, they will ship from Entertainment Earth. Pre-Order Now! Second, at the Blue Fin Booth #401 at SDCC, you can see the Exclusive BANDAI SHOKUGAN SUPER MINIPLA VOLTRON (SDCC VER.) It’s time to form Blazing Sword! This special SDCC 2018 exclusive version of Bandai Shokugan Super Minipla Voltron includes an additional effect part to recreate the “Form Blazing Sword” sequence not found in the regular release version and exclusive box-art! A hybrid plastic model kit and toy, the Super Minipla Voltron comes in pre-colored plastic with painted-in details and assembles with no glue! Completed product can be separated into 5 individual posable Lions and combine into Voltron. Includes Blazing Sword, Spinning Laser Blade, and an original weapon, the Mega Blaster made from the individual Lion weapons. Assembled, Voltron stands at approx. 7.1″ tall.” At the convention, this item will be $70.00.